The Milwaukee Automobile Company was founded in 1899 by W.H. Starkweather, Herman Pfiel, and W.G. Smith to build cars that were not a “radical departure from all other types” of automobiles… except that they were using steam power. 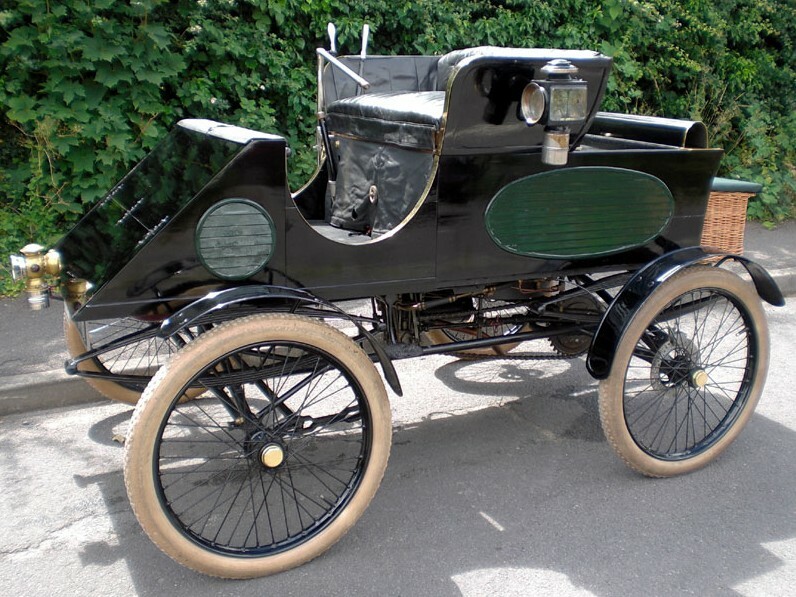 Most of the early American steam car manufacturers built cars that looked relatively similar but this car, while similar, is fairly different. 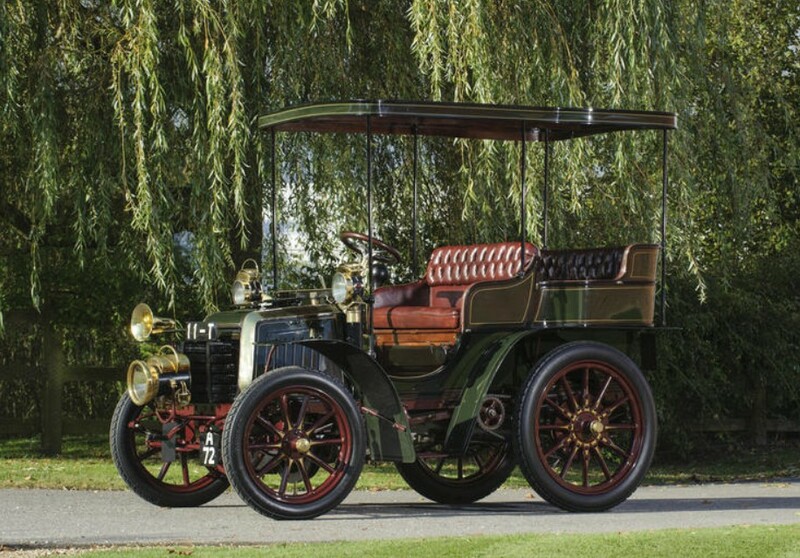 The first Milwaukee Steam cars appeared in 1900 (here’s one) and they lasted only through 1902. 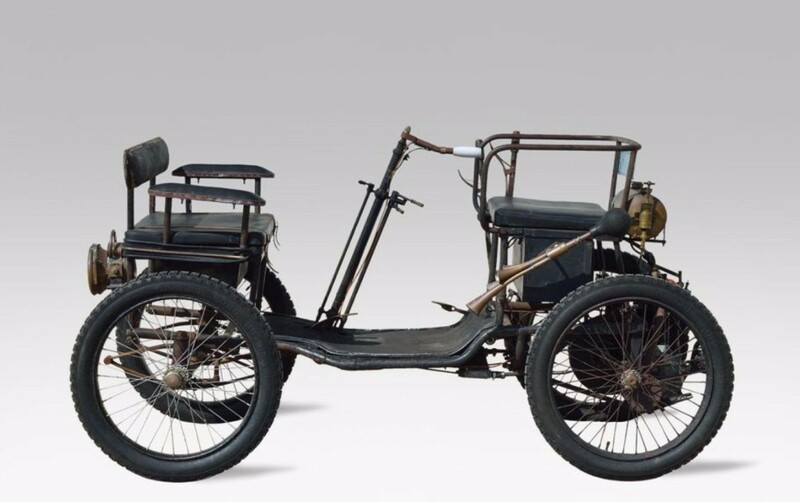 In 1901, they went to the Chicago Auto Show and exhibited this racer – not a body style that many struggling manufacturers would’ve dared to build. 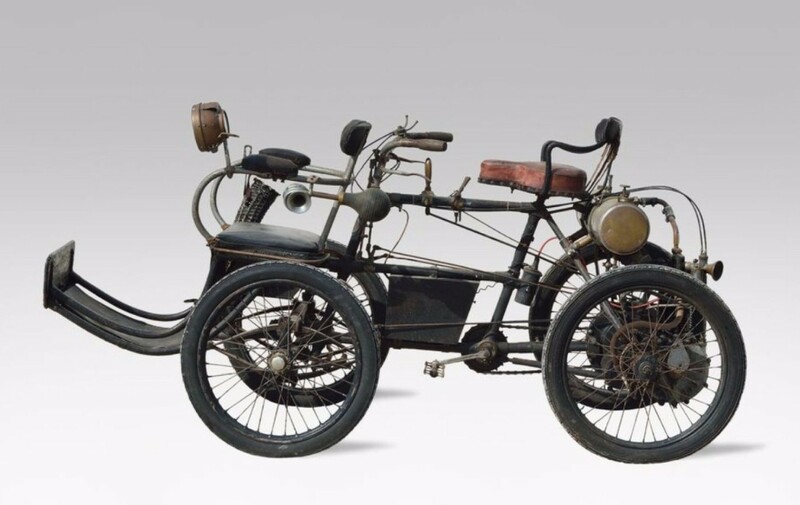 Not much is known about what it was used for in period, but it is thought that it competed in a half-mile race in Illinois in 1901. 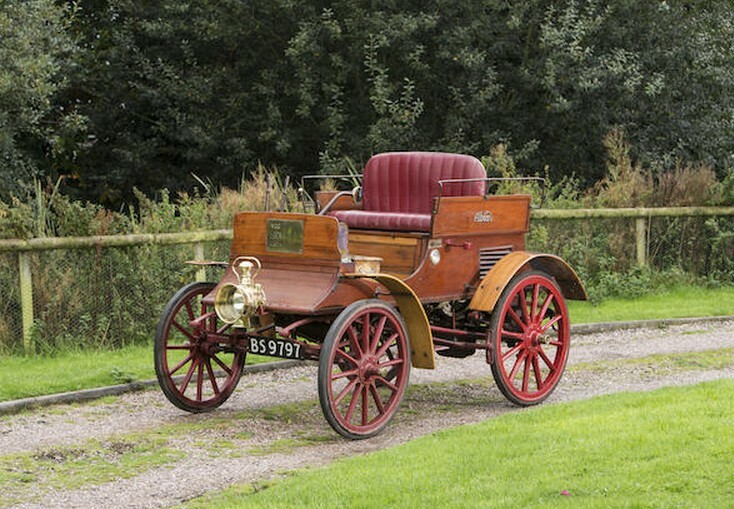 This car has been restored to 1901 condition and is eligible for the London-to-Brighton run. You really don’t find racing vehicles from this era that aren’t on long term museum display. It’s even harder to find one that is steam powered and from a three-year-only manufacturer. This should bring between $65,000-$90,000. Click here for more info and here for more from this sale. 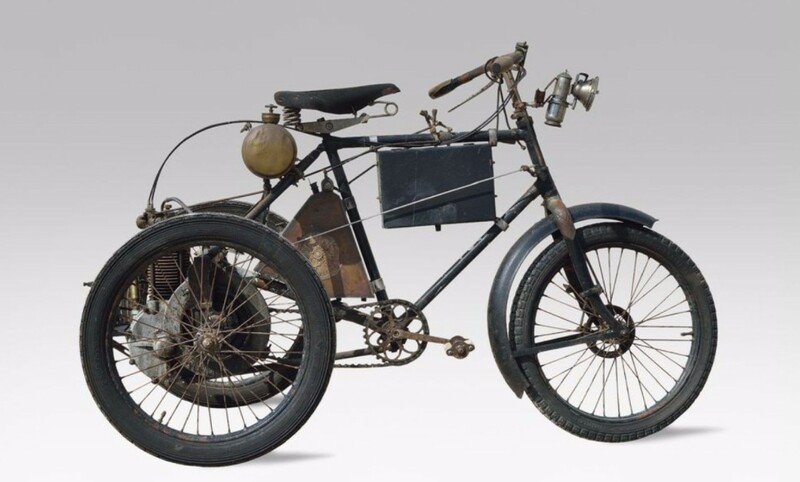 Joesph Delin began producing bicycles under the name of Derby in 1890 in Belgium. Eight years later, he re-organized the company to include the manufacture of automobiles and his first car appeared the following year. This car, although called a “4HP”, is actually rated somewhere between 6.5 and eight horsepower. 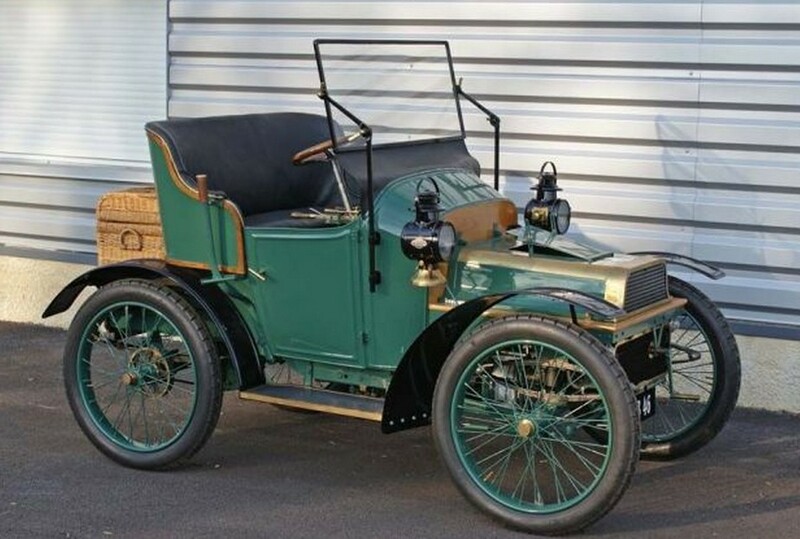 This was the mid-range model for their 1901 lineup that consisted of four models. Sadly, Mr. Delin died that year and the company was liquidated shortly thereafter. Delin was a short-lived marque. Only three Delin automobiles survive today. This example wears chassis #4, making it one of their first cars. It’s in excellent condition and has known ownership back to the 1960s and it’s said that this car can achieve 34 mph – which, we’re sure, is terrifying. It is expected to bring between $88,000-$106,000. Click here for more info and here for more from this sale. Update II: Sold, Coys Spring Classics, March 2016 $93,610. Albion is a Glasgow, Scotland-based manufacturer that was founded by Thomas Blackwood Murray and Norman Osborne Fulton in 1899. That’s right, is – this company is still active, although they haven’t built a road-going vehicle since it’s last bus left the line in 1972 (passenger cars ceased in 1915). Today they make just axles for other car companies. 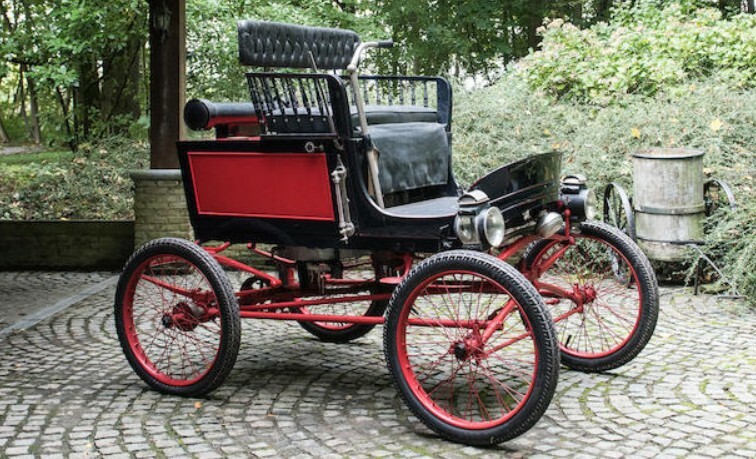 The rear-mounted engine in this A1 Dogcart is a 2.1-liter twin-cylinder making eight horsepower. We’ve always found “Dogcart” to be an interesting name for a car’s body style. Traditionally, it refers to a one-horse carriage with four-seats: two facing forward, and two facing backward. If you didn’t know this, perhaps you might think Albion was slamming the physical appearance of their customers. It’s a term we almost exclusively relate to the London-to-Brighton run. This car has been in the same family since the 1960s and has competed in the London-to-Brighton run many times. These super-early cars are always fascinating. This one should bring between $170,000-$220,000. Click here for more info and here for more from this sale. Well this is an interesting one. It’s fairly rare – but not unheard of – that a car shows up in an auction and no one knows a thing about it. 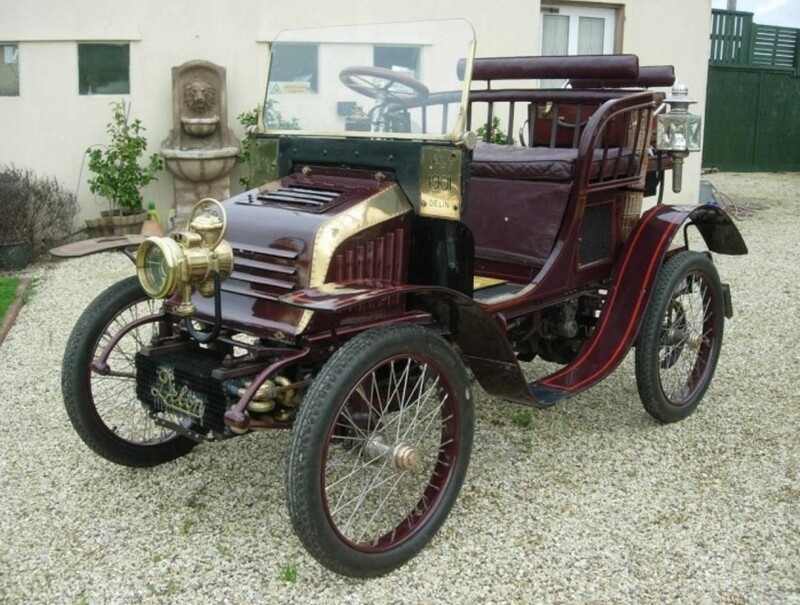 Croizemarie is one such company and their minuscule Type AC Voiturette is one such example. 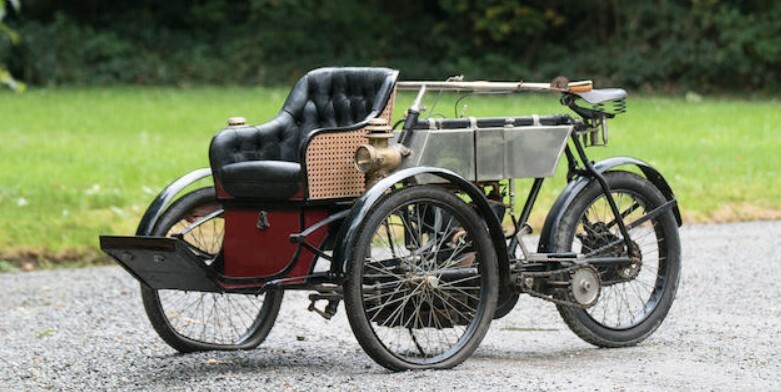 It’s powered by a single-cylinder De Dion engine – the most popular engine in the automotive world in 1901. Many manufacturers used them and built some of their own parts. The catalog states that the body might be a few years newer than the engine/chassis combination. 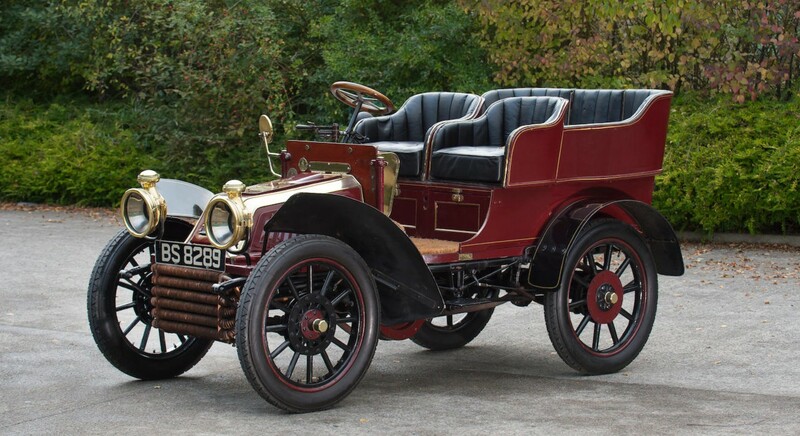 This car entered the automotive world more recently in 1999 as an unrestored example that had been in the same family since 1921. A restoration was carried out in the last few years and the car runs, but hasn’t really been used. It’s unlikely another one of these exists and it should sell for between $71,000-$95,000. Click here for more info and here for more from this sale. Update II: Sold, Bonhams, Goodwood Festival of Speed 2015, $35,237.